My friend shared this recipe with me as I have been looking for dishes that goes well with rice so that I can just prepare a dish or two just for dinner. Simple and tasty is my goal in cooking. Simplicity takes away the stress of washing up! So here's a great dish for the family to dig in. You can just boil vegetables like cai xin or Xiao bai cai as a side dish with the rice. 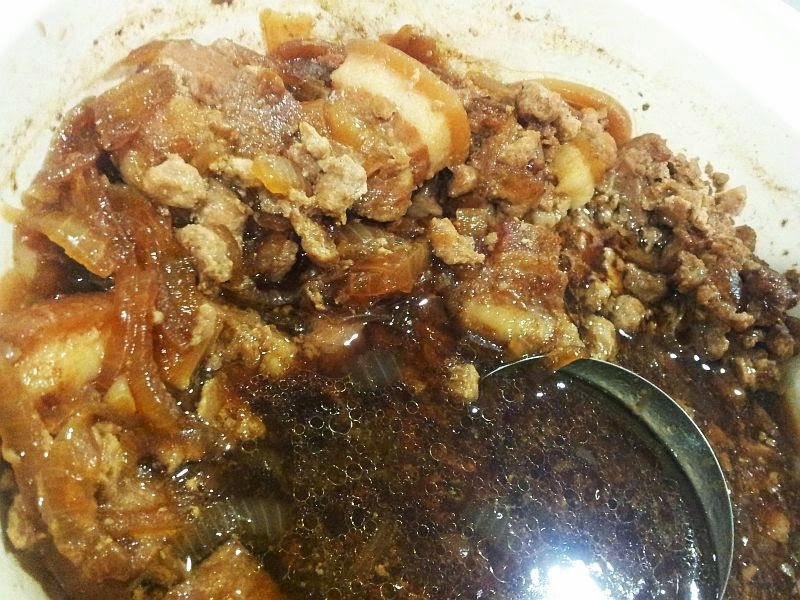 5) Add pork belly and seasonings, then pour water and simmer for 15-20 mins or till slightly dry. I did not wait till its dry as I love mine with gravy for the rice. Your preference!